Why did a painting suddenly leap in value and smash sales records at auction? Nothing changed, except the way the painting was marketed, Ian Leslie explains. In November, a painting attributed to Leonardo Da Vinci sold at auction, courtesy of Christie’s, for $450m. 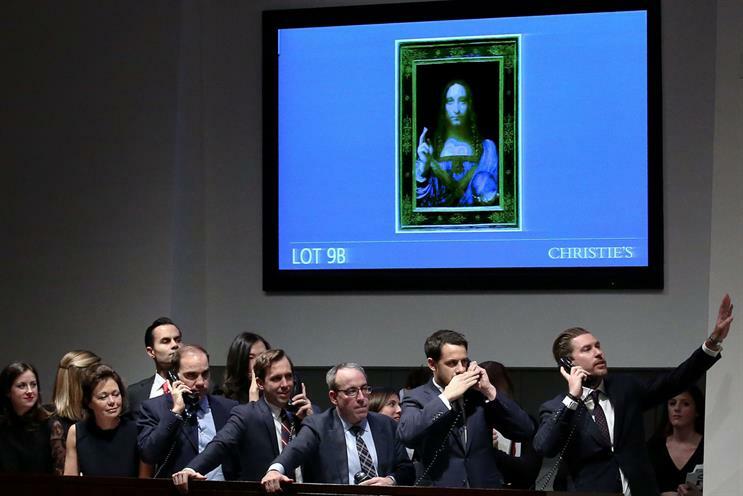 Salvator Mundi is the most expensive painting ever sold - by far. It beat the previous holder of that title by over a third. As the last Da Vinci not held in a public collection, Salvator Mundi was always going to be a big deal. But even at this stratospheric level, the price that Christie’s got for it came as a shock. The last time this painting was sold by an auction house – Sotheby’s - it cost $80m. That was four years ago. In the intervening period, the artistic status of the painting did not change. Experts did not discover incontestable evidence that it was made by the hand of the master. Nor was its quality re-evaluated: Salvator Mundi is not considered to be one of Da Vinci’s greatest works. Connoisseurs deem it mediocre. Nothing changed, except the way the painting was marketed. The story of how Christie's added $380 million in value to exactly the same product tells us something important about how marketing can create value. When Salvator Mundi was sold in 2013, by Sotheby’s, the sale was made privately. This must have seemed sensible at the time. The target audience for a Da Vinci is tiny. There are only a handful of people who both want and afford one, and the top auction houses know all of them. So Sotheby’s decided to make the sale directly, discreetly, and personally. That now looks like the most costly mistake ever made in the art market. The man who bought it from Sotheby’s, Yves Bouvier, quickly sold it on to Russian oligarch Dimitry Rybolovlev, for a profit of around $50m. When Rybolovlev later discovered how much Bouvier had paid for it, he was furious. He decided to get out of the art business altogether, and asked Christie’s to rid him of Salvator Mundi. Christie’s then made a crucial decision. Rather than selling the painting privately, it would do so in a massive blaze of publicity. It took the painting on a tour of the world to introduce it to potential buyers. It generated enormous hype for this global procession. It put the painting on public display in Hong Kong, London and New York. A total of 27,000 people queued to see it. Christie’s hired Droga5 to produce a marketing video. The auction itself was billed as a "once-in-a-lifetime sale". What is so remarkable about this is that 99.99% of the people reached by the marketing for Salvator Mundi were not in the market for it. That is some rate of wastage. Why go to all that trouble and expense when your target audience can fit around a dinner table? The answer is that Christie’s understood the value of the audience beyond the audience. The potential buyers of paintings like this may live rarefied lives, but they are deeply influenced by the rest of us. They want to know that we know they bought the last Da Vinci. They want to feel that they are buying a cultural icon of global renown. That feeling enhances the painting’s value to them. By several hundred million dollars, as it turns out. This is the same kind of that value Jeremy Bullmore pointed to when he noted the importance of the BMW owner knowing that the people who can see him in the BMW understand the brand in the same way he does. It is the value that John Bartle identified when he advocated for the power of brand fame. In the last decade, brand marketers have engaged in a massive switch of funds from conventional media to precision targeted channels in the name of efficiency. But as brands like P&G are now admitting, the big switch has done little to create brand value. One reason is that marketers vastly under-estimated the value of the audience beyond the audience. This is the ad industry’s fault as much as anyone. For most of our history, creating value from the audience beyond the audience has been what we do uniquely well. But, notwithstanding Bullmore and Bartle, we never defined this superpower rigorously, or promoted it consistently. Instead, we allowed an intuitive but flawed mental model of marketing to prevail. The flawed model goes something like this: marketing is about the communication of rational or emotional benefits to individuals. The closer we get to communicating with people as individuals – the more "relevant" we become to them – the better job we will do. When we’re not talking to those individuals, we’re wasting money. Call it the Sotheby’s model. What this leaves out is the value of having lots of other people see what the target audience is seeing, and of the target audience knowing that lots of other people are seeing it. Anthropologists study a phenomenon called "common knowledge". Societies need to agree on what things mean so that people know how to behave. Rituals, rallies and codes of etiquette are forms of common knowledge. So are brands. All of them depend on people knowing that others know about them. Humans are always looking to see where other humans are looking. The human eye has a greater colour contrast between the pupil and its background than other primates, which makes it easier to follow a gaze. If you’re inviting people to a party on email they have an extra reason to go if they can see who else is on the list. It’s important to me to know that a beer brand signifies "sociability" to other people, not just to me. That’s why the audience beyond the audience is so important. Droga5’s video is called "The Last da Vinci: The World Is Watching". Common knowledge creates brand value. Marketers can’t generate it by micro-targeting, because people need to see other people, way beyond the target, seeing your marketing. As Christie’s showed us, common knowledge doesn’t necessarily require traditional advertising. How ever it’s generated, it’s hugely valuable. People pay more for brands that have a shared cultural meaning. You can’t do that by making private sales.